Chris digs into an unusual mash-up from Chicago-based indie Trinket Studios. There is something primal about the idea of hunting, dressing, and cooking your food. The game of cat and mouse, the patience and precision, the age-old battle of man versus beast. Or something like that – the closest I’ve come to hunting in my life is the sweat-inducing stress of choosing whether I want the vindaloo or saagwala from my local Indian eatery (props to Mughlai MerCury). Thankfully, for those of us that want to experience those primitive hunter instincts but don’t like the idea of getting all down-in-the-dirt and bloody, Chicago-based Trinket Studios has taken the next logical step: it made a game about killing monsters and creating gourmet meals from their harvested corpses… by combining an side-scrolling brawler with a match-3 cooking game. It’s insane, but kind of brilliant. In a land overrun by monsters, it really is eat or be eaten. Serving as both an exterminator of pesky beasties and a purveyor of fine dining, the Battle Chef occupies a unique and lauded place in the world. The only way to join these warrior cooks is obviously via an elimination reality cooking show. Mina "Iron Stomach" Han longs to join the Battle Chef Brigade, and with her knife roll in hand, she enters the competition. It's your job to see her to victory. Battle Chef Brigade is played in three very different but oddly complimentary game sections. There is a story-based RPG-lite interactive novel section where Mina explores the various locales, interacts with NPCs, collects items to improve her battle and cooking skills, and accepts or issues challenges to earn money or rare items. Every round of the competition requires Mina to prepare a dish for the judges. Each dish has specific ingredient requirements, and each of the three judges has their own specific tastes you will want to cater to. 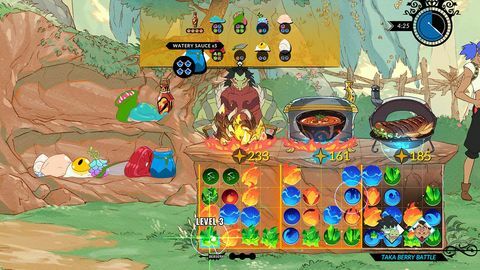 In order to create meals, you need to ‘gather’ your ingredients, this is done via the combat system. Out of the kitchen and to the left is the untamed wilderness, home to a myriad of monsters, creatures, and nasties. These start off fairly easy, but as you progress through the game, the monster variety and ferocity both increase, as do the flavour profiles their various parts provide. The combat itself is not all that challenging, but as every match is timed, the longer you’re out hunting, the less time you have to cook. If you really want to wow the judges, being sure to get as many rare monster parts as possible gives you the widest canvas on which to design your signature dish. Combat itself is typical brawler fare. You have various melee, ranged, and magic attacks, and a few combos to help speed up the harvest, as well as some evasion options. It's not complex, but is extremely reactive and easy to learn. The monster variety and constant need to keep an eye on the clock keeps the tension high, even when the foes you’re facing are not quite as challenging as you might like. It's great fun, but some additional depth could have added some much-appreciated zest. The meat of the game is the cooking itself, and what might look like a simple match-3 mechanic is so much more. Each monster has a specific flavour profile, this combination of flavours is represented by different coloured gems. Each specific body part has a different combination of gems, and varies in size. Matching coloured gems will refine that aspect of the dish and improve its quality. 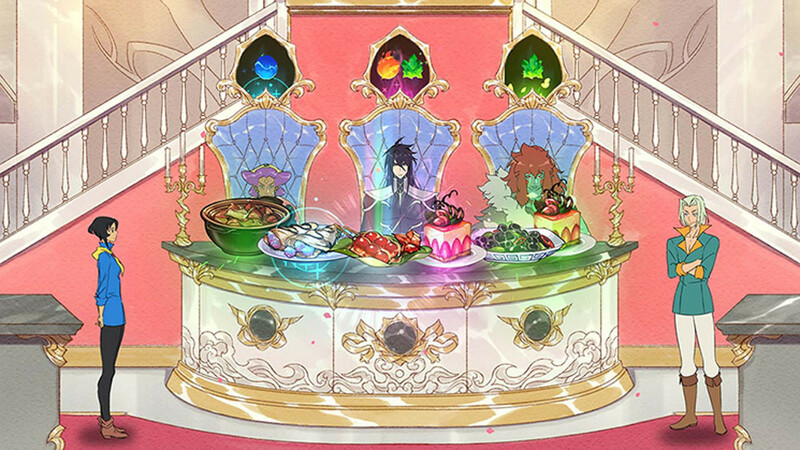 Some monsters also have poison, or a flavour disliked by one of the judges, so removing these from the dish by moving around the gems is vital to success. And with up to four pots with limited available volume on the boil at once, and that ever present timer inexorably ticking down, managing your ingredients becomes a real challenge. If you get your dishes plated and presented before the time runs out, they will be given a score based on how well you met the specific requirements for the dish, and the quality of the ingredients used. Did you use parts from the required monster? Did you ensure that one had enough heat for the judge? Did you ensure that there was no earth for the other judges? Were the ingredients used refined enough for the educated palettes of each of the judges, and did you remove the poison introduced by the super-rare but required ingredient before serving? Assuming you got it right, you will win the match and move forward in the competition. Each new round offers up new challenges, new ingredients, and a new opponent with their own speciality you’ll need to contend with. The puzzle aspect of the game is not only compelling, but also surprisingly strategic. Swapping between pots to refine or remove ingredients quickly becomes a requirement, and managing your pantry to ensure you have enough of the right ingredients constantly messes with your ability to focus on the cooking. It’s tense, and strangely exhilarating. The only real downside is that sometimes defeat feels a little cheap when your opponent has a slightly better dish than yours. When you plate your dishes you only know how well you’ve done, and sometimes a great dish you’re super happy with is beaten by one that you’re certain is inferior. Overall though, the 1v1 cooking theme works well, and I was only tempted to fling my Switch across the room a couple of times. I found myself far more involved in Mina’s journey than I expected, and the game has fantastic production values across the board. Music, art, and voice acting are all top notch, giving it a high-quality JRPG feel throughout. It's a little short, and the end feels abrupt, but this is a small and rather cheap indie title, so that short-coming is forgivable. 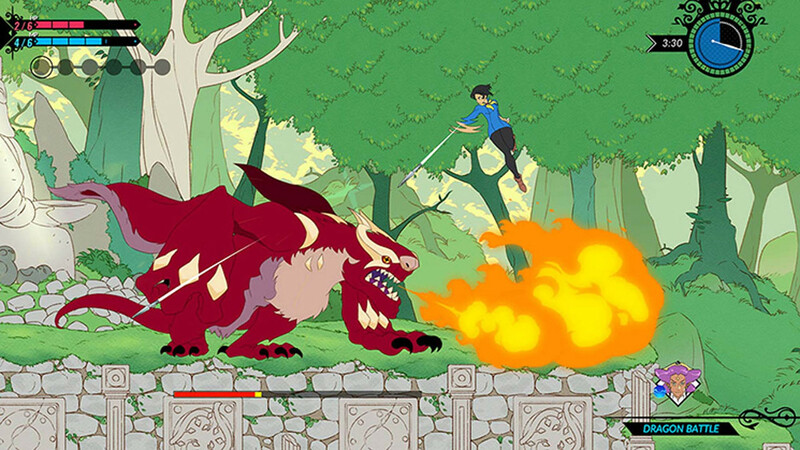 Battle Chef Brigade is likely a game that you may gloss over when looking through the Nintendo or Steam stores. 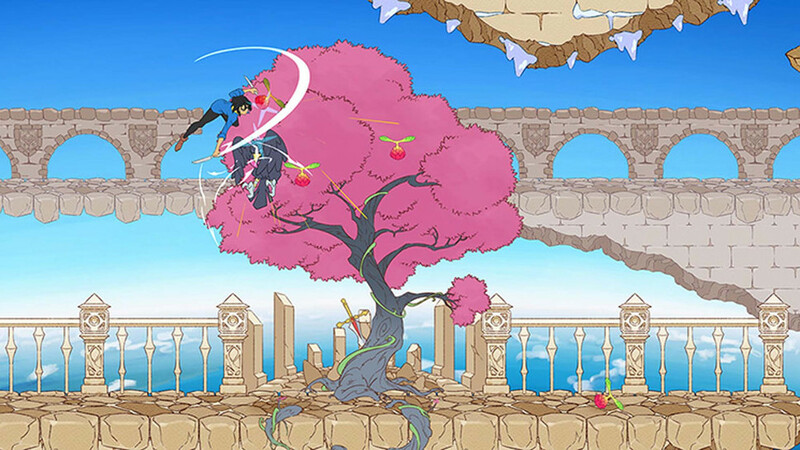 Its anime-inspired aesthetic is niche, match-3 games are deemed casual by many, and the fact it’s a fusion of two vastly different genres may seem like nothing more than a gimmick. Gimmicky it might be, but it works, and is one of the most enjoyable games I’ve played this year. Ups Excellent art design and overall production. Fun combat, and tense match-3 gameplay. Downs Combat is a little shallow. Some frustration with transparency match scores. I wish there was more story.